LAST day in South Korea 😦 Time flied by so fast but we wouldn’t forget the fun that we had! 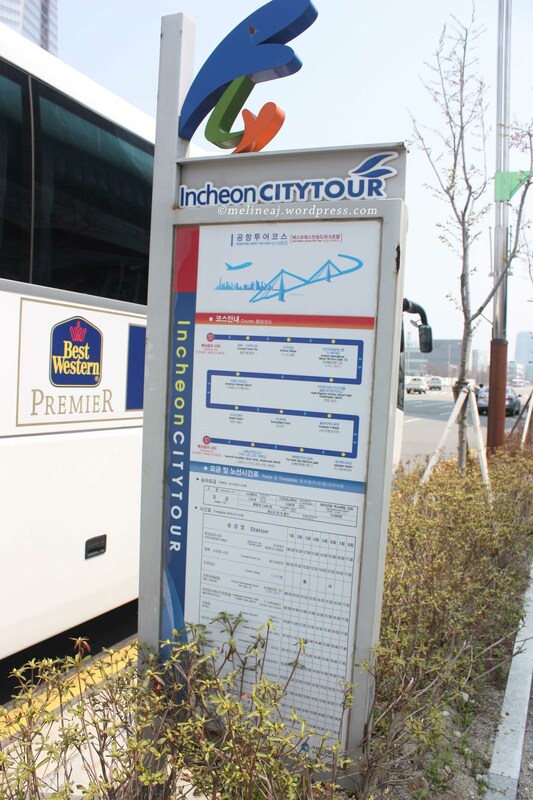 Songdo area is very close to Incheon airport. 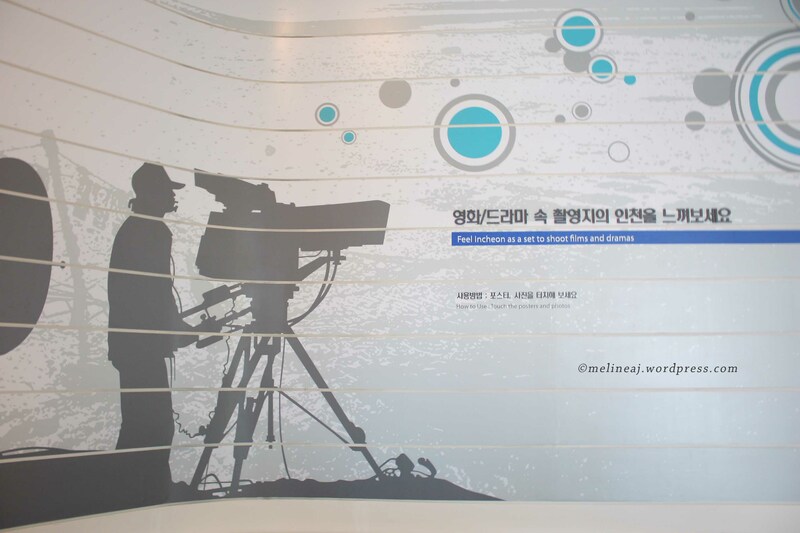 It is relatively a new area because none of my guide books and the tourism Korea website mentioned this area. There are a lot of development in this area, especially tall buildings for offices and apartments. 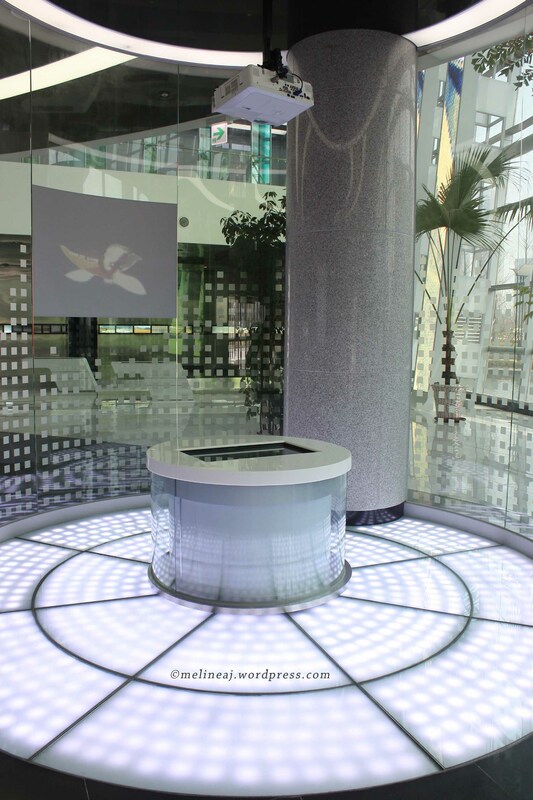 Our hotel, Best Western Songdo Premier Park, is located across Songdo Central Park. The subway station is just a block behind the hotel and a couple block from here, there is a complex where you can find small cafes and convenience stores. 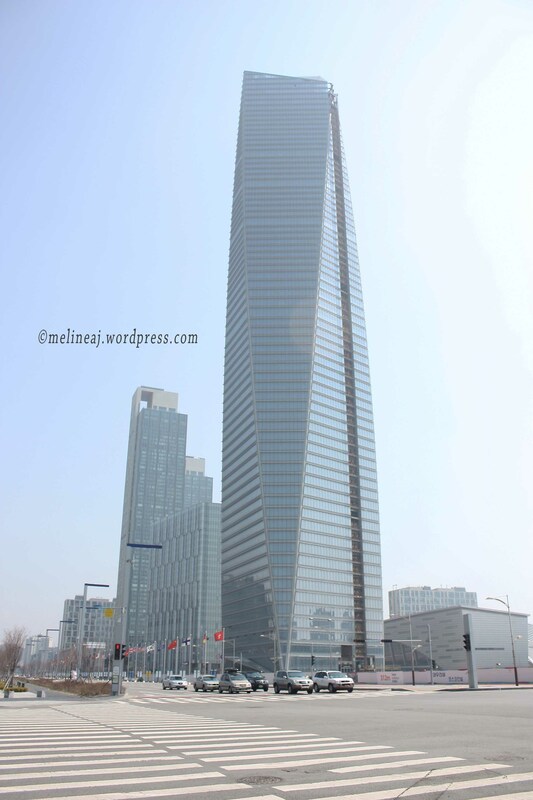 Afterwards, we went to Songdo Central Park. As I said before, this park is HUGE! There are a man-made river across the park and you can ride a boat. When we were there, there was a Bible Exhibition since it was a week after Easter. 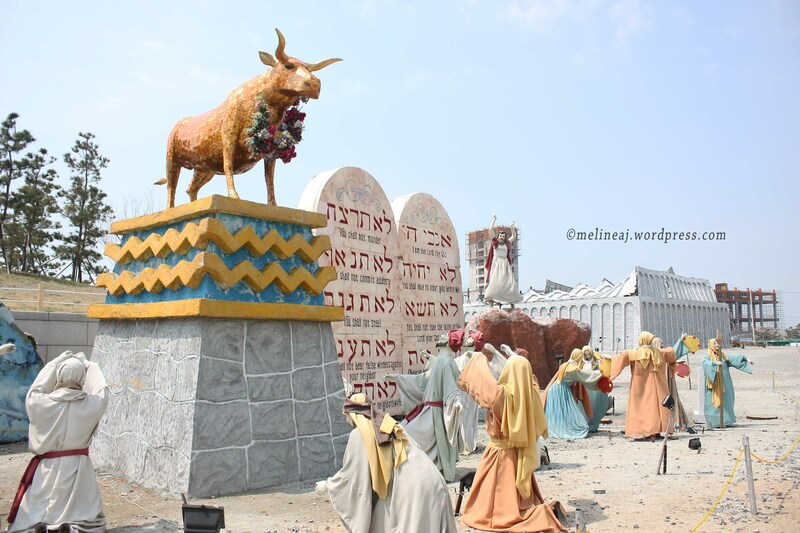 We saw replicas of bible stories, such as Noah’s Ark, the Ten Commandments, Adam and Eve, etc. Later we found out that couple blocks from there, there’s a Christian Church and Museum. On the other side of the park , there are more tall buildings but this area seemed to be more alive than the hotel we were in. 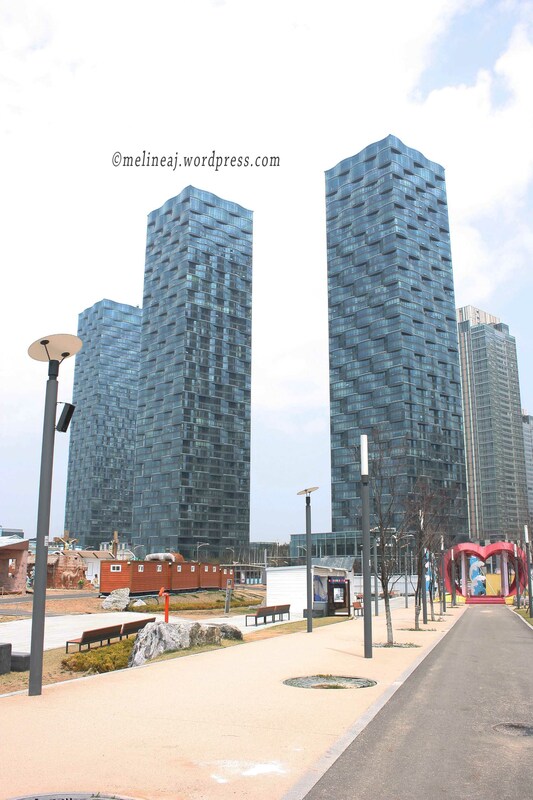 Songdo Central Park ; Bible Exhibition ; Buildings on the other side of the park ~ they have woven texture, so unique! We only had about an hour before our shuttle come. So, we headed back to the hotel through different route. 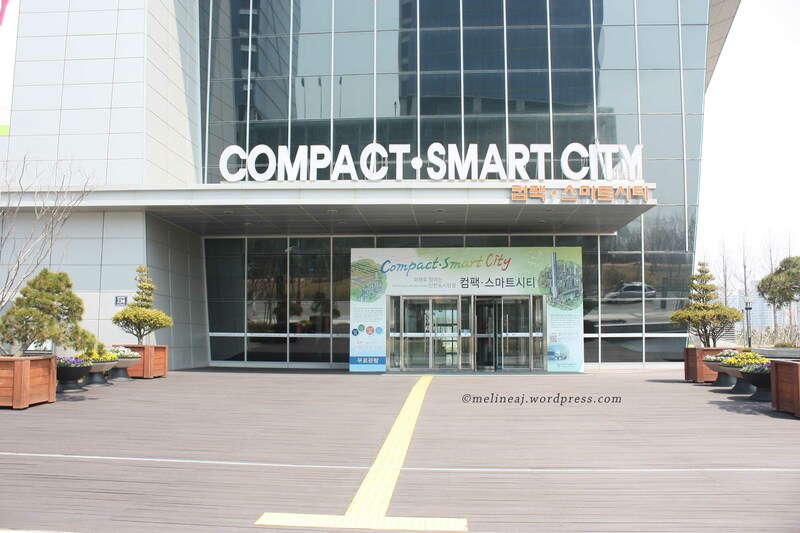 We then saw a building with a sign “Compact Smart City” about 3 blocks prior reaching our hotel. Although it seemed to be closed, my fiance decided to check it out. 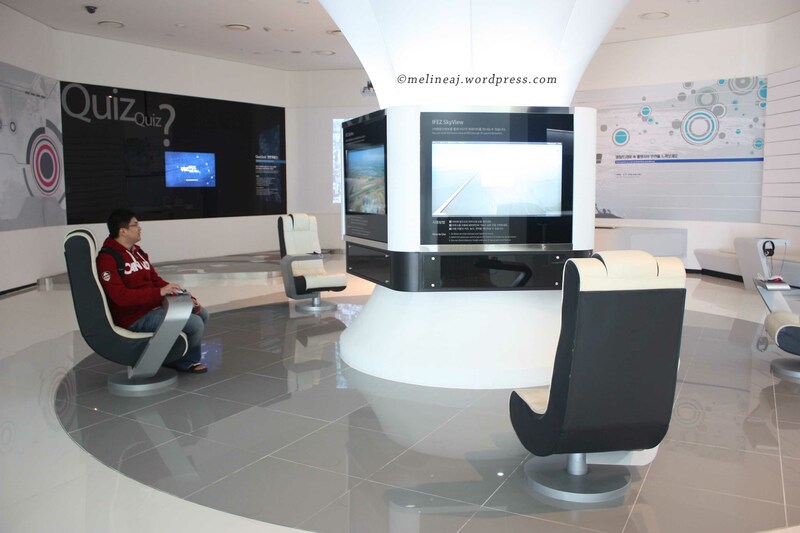 Turned out, it was open and it was sort of museum of Songdo. 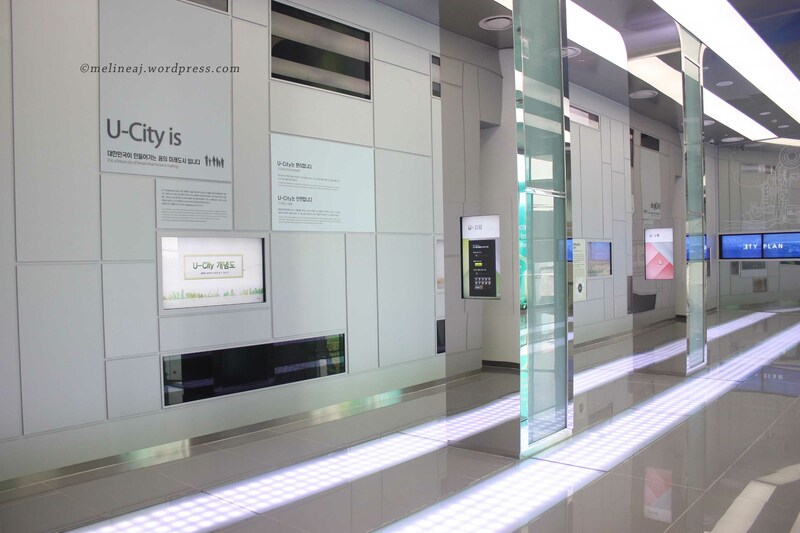 On the ground floor, there were interactive display of Songdo area. 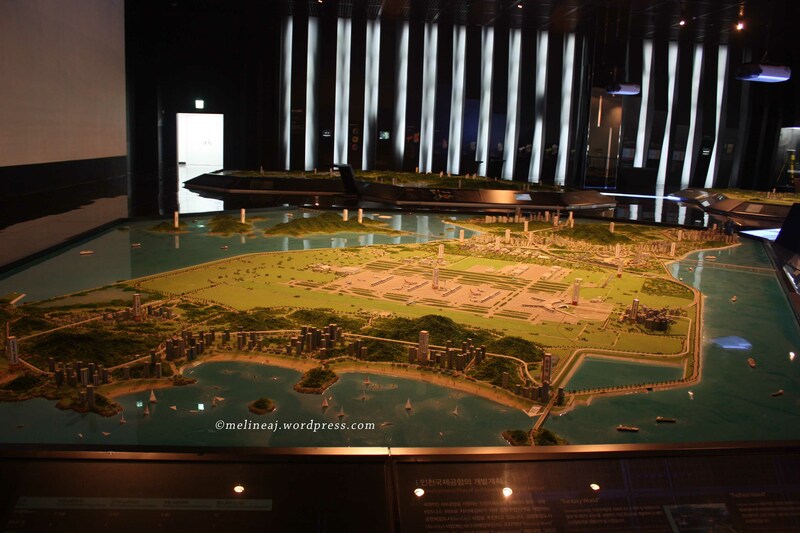 A guide told us the story of Songdo was once a port city. A lot of people from Japan, Hong Kong, China, etc had houses here. During war, lots of these building were destroyed. 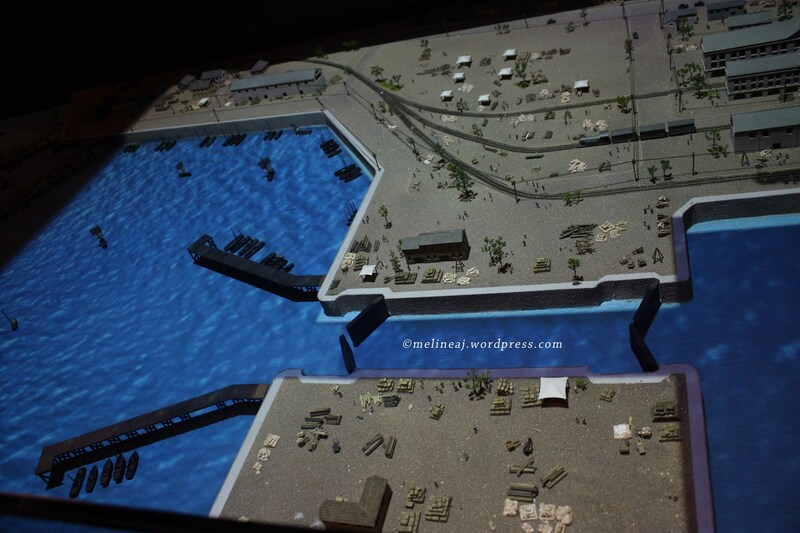 However, some of the remains are still there, such as Chinatown and Japan town nearby. This city is planned to be the most technology advanced city. Government invested a lot of money for the development. In return, they hoped that they could attract many foreign investors for the further development. 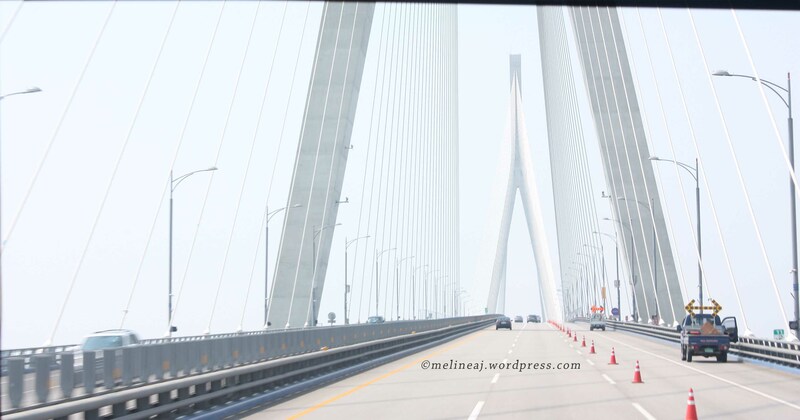 However, the guide said that the development was a bit slow since the amount of investors that came to Songdo was below the expectation. Still, the government hoped that the slow and steady development would catch up someday. 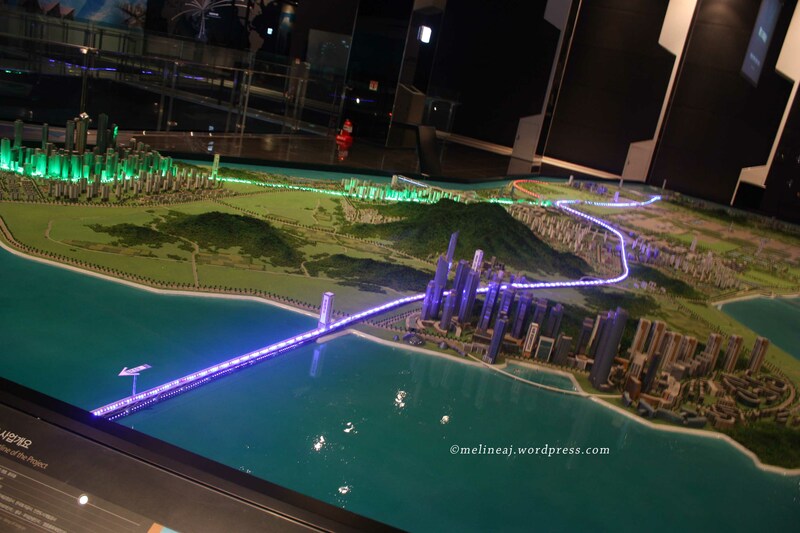 And if it will, Songdo will be one of the hi-tech city in the world! 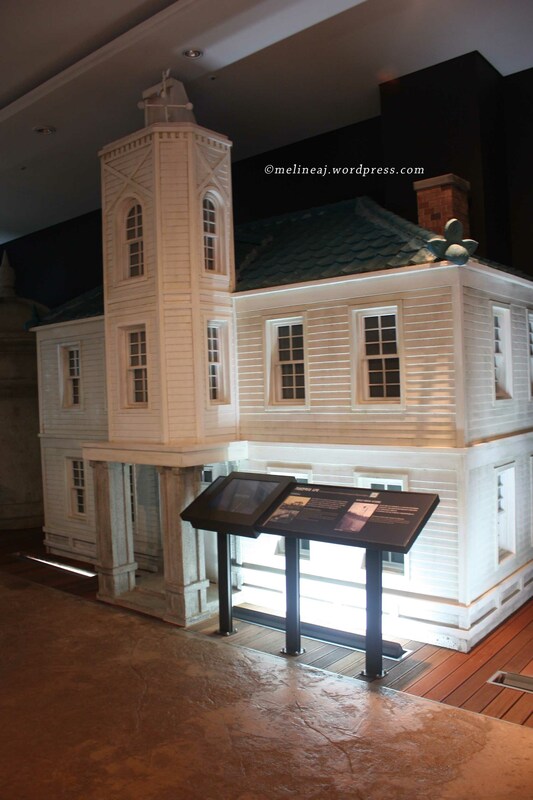 The displays inside this museum were pretty cool! 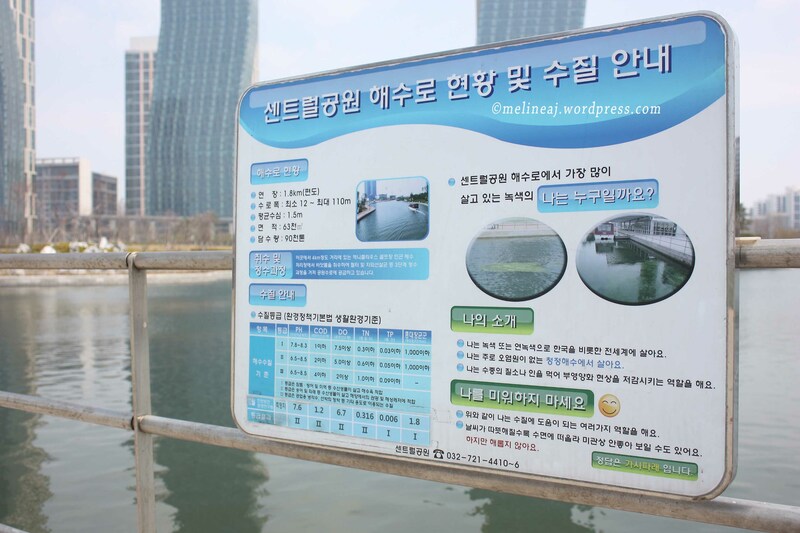 You can push the button to look the contrast of present and future Songdo area. It also has 3D and 5D Theatre! We wanted to see the 5D theatre so bad but the movie schedule was exactly the time with our free shuttle to airport! 😦 We were pretty disappointed, boo…. If we knew there was this cool place from the beginning, we would come here first and we would have caught the 5D movie. So, if you are in Songdo area, go here as early as you can (well, if I’m not mistaken, the first 5D movie was 10 am) before exploring the rest of the city. The futuristic interior so cool! P.S.S. 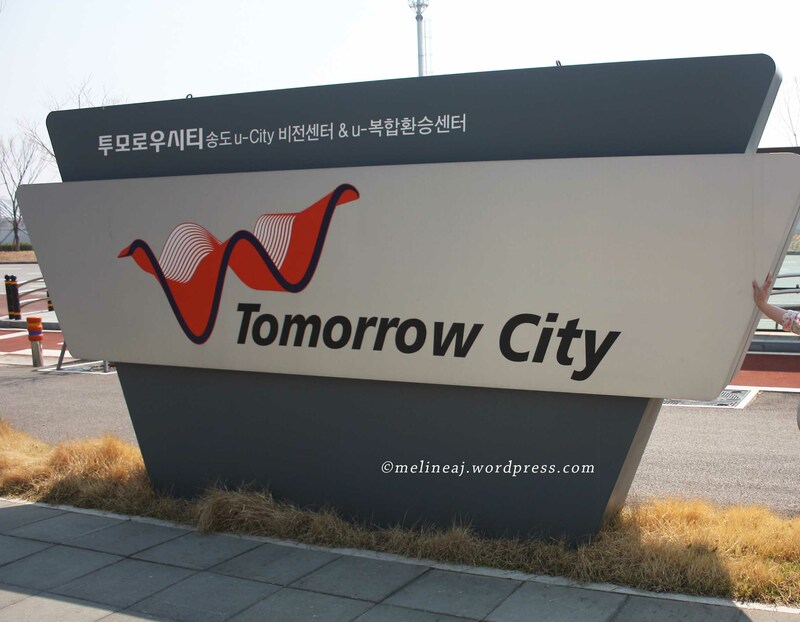 I also heard a rumor that Universal Studio will build a theme park somewhere in South Korea aiming to open in 2014 (click here for the link). 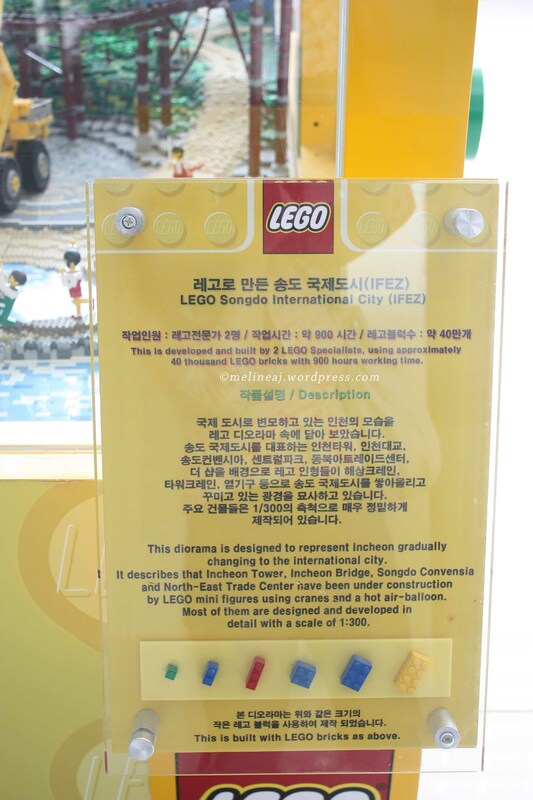 The project is supported by Lotte Group which also owns Lotte World theme park. 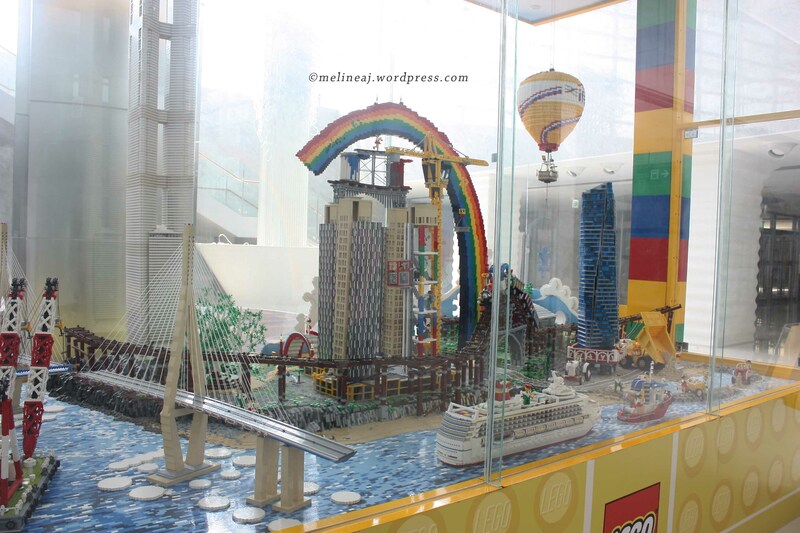 With all these new theme parks, South Korea will be one fun destination in the future!